Mississippi Residents: Train for free - pay only after you pass. You are 3 short steps away from getting your Mississippi state-approved food handler's card and certificate. 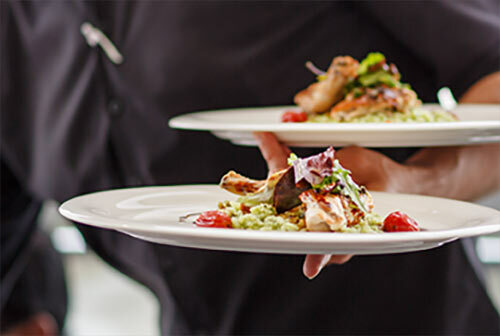 Although your state does not directly require food handlers themselves to take training, it does require that the “Person-In-Charge will train the employees.” This person is responsible for knowing all food sanitation rules, as well as policies and procedures within the food establishment. eFoodcard takes the burden of training off of the “Person-In-Charge” by providing employee training and testing. 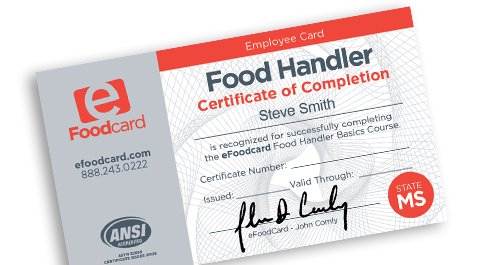 Each employee who passes the eFoodcard course receives a food handler certificate and card, which confirm that he or she has achieved a basic understanding of food safety and met the learning objectives of the course. In addition, you have third-party documentation of your compliance with your state’s laws, which can help protect you from possible lawsuits. Your business may even want to advertise, “All employees trained in safe food handling practices." 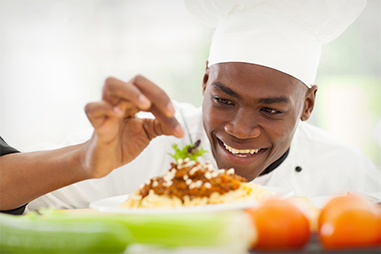 Attention Food Handlers: Your city or county may have special requirements for food handlers. Please visit the website of your local or state health department for further information. Is your “Person-In-Charge” responsible for food handler training? eFoodcard can help you get it done, hassle-free.